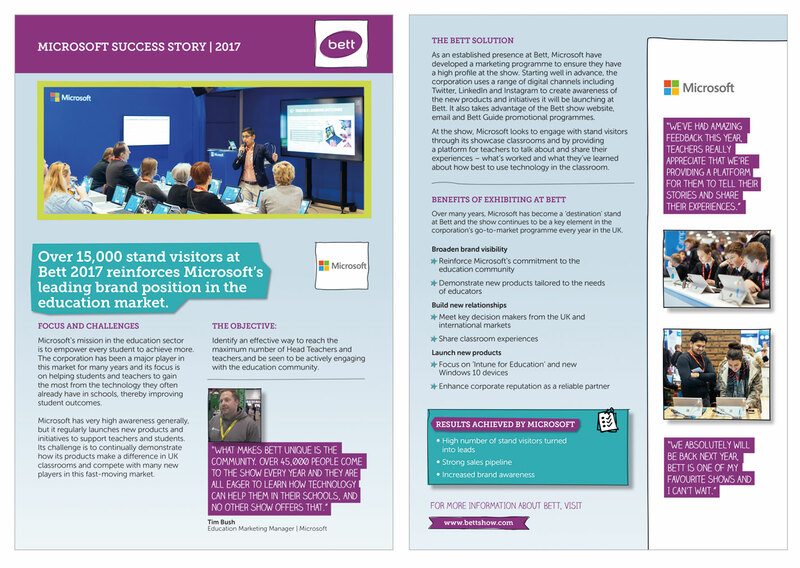 As an organisation with a mission to transform education, case studies provide Bett with a hugely effective way of communicating the benefits they offer other like minded businesses looking to create a better future. Bett has multiple examples of how they work with and help businesses and organisations meet their objectives by providing the right platform and creating the right environment. This wasn’t the challenge. Working within the existing brand look and feel, the challenge was to take a fresh look at how their case studies communicated these success stories. 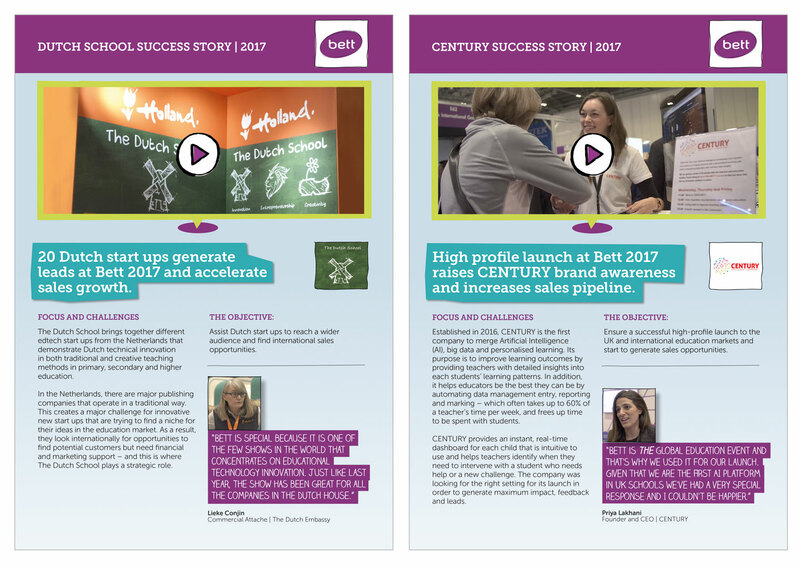 It’s important for a case study that you take detailed information and turn it into a story with an intro, a problem, a solution and a happy ending, where customers and Bett are the heroes. We focused on engaging the reader by providing clarity and visually helping them navigate through the content logically, ensuring key information was clear at all times, whilst maintaining the brand personality. Flexibility was added by creating alternative versions where video was embedded.